Nobody wants car insurance. It is simply something we can't do without. So we might as well get the best possible deal. Here are 5 bulletproof tips to reduce your car insurance premium. This is too obvious, right? So why do so few people do it? Think about it: when last did you get a quote to see how much money you could save by switching policies? It may be the obvious thing to do, and all it takes is one click of a submission form, but too many people get complacent and stick with their existing policy, even if it costs them money. It's crazy. These days, all you need to do is submit your details online and instantly discover how much you could save on car insurance. 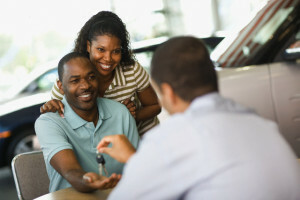 The most important thing to look for in an insurance company is dependability. Insurance is about managing risk, so you need to know you can rely on your insurer when you need to claim. But that doesn't mean you have to pay premium prices. Look for a trusted budget insurance company with a good track record. This won't apply to everyone. Most people need comprehensive car insurance. It would be simply too risky to reduce their cover. And be assured, if you need to replace or repair your car, you'll be grateful for your comprehensive car insurance policy. But if you drive an old vehicle with a very low resale value, it may be sensible to simply choose third party car insurance. Your driving record can affect your insurance premium. Driving recklessly isn't just dangerous, it could push up the price of your car insurance. How can you be sure that your insurance policy offers ongoing value? Your car is worth less and less as it gets older and puts on more mileage. So why should you keep paying the same premium when your car is worth less? King Price insurance has come up with a really smart solution: with King Price your car insurance premium gets cheaper every month. It's a brilliant idea. Your car is worth less every month, so King Price automatically reduces your insurance premium every month, too. It's too easy to buy insurance and just forget about it, but that isn't smart financial planning. Intelligent consumers know that keeping up-to-date with industry trends and regularly getting free insurance quotes is the very best way to save money on car insurance. Get a free, no obligation quote now - you may be amazed at how much money you will save.